A suburb of the New York metropolitan area, Teaneck township is the second most populous municipality in Bergen County, New Jersey. Teaneck has a rich and storied history, due in large part to its geographical location at the crossroads of rivers, roads, and train tracks. Over the course of history, Teaneck has been at the center of several momentous events, including playing a part in the American Revolutionary War. Modern day Teaneck is home to a diverse population, and its convenient location and historical attractions make it a great place to call home! 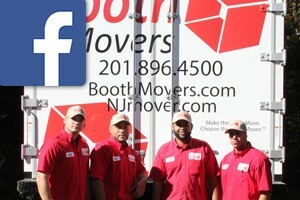 Since the 1940’s, Booth Movers has been the premier choice in Teaneck moving companies! With our commitment to quality and exceptional customer care, our Teaneck movers will work tirelessly to ensure you have a smooth relocation experience. Booth Movers is a BBB-accredited business with an A+ rating, and we are proud to serve the Bergen County area and beyond with professional, affordable moving and storage solutions. Booth Movers is a long-time agent for Atlas Van Lines, one of the most trusted names in the transportation industry. With this affiliation, our Teaneck moving company is connected with a global network of resources to handle residential relocations anywhere in the world! With efficient service and expert care, you can trust your valuable belongings with our experienced Teaneck movers! Booth Movers offers comprehensive Teaneck moving services to suit any size relocation. For more information, see the links below! Residential Moving – Regardless of where life takes you, Booth Movers has the moving services that you need for a smooth transition. Household Moving – Our Teaneck moving services can be customized to suit household moves of any size. Local Moving – Bergen County is a beautiful area, and nobody it better than our Teaneck moving company! Long-Distance Moving – Long-distance moving doesn’t have to be a stressful process when you have Booth Movers on your side! Interstate Moving – Our Teaneck movers have the expertise to handle all the details of your next interstate move. Full-Service Moving – From fine art to large appliances, our full-service moving company has all the resources to efficiently complete your relocation project. International Moving – Our Teaneck moving company’s global resource network will make your international move a seamless process. Are you ready to learn more about our premier Teaneck moving services? Give us a call today, or fill out our quick online form to request your free, no-obligation estimate!